This beautiful holiday home was built in 2013 and located on the lake Aitjärvi in ​​Pertunmaa, about 35 km from Heinola and on the way to Mikkeli. Very sunny location on South Beach. This beautiful holiday home was built in 2013 and located on the lake Aitjärvi in ​​Pertunmaa, about 35 km from Heinola and on the way to Mikkeli. Very sunny location on South Beach. 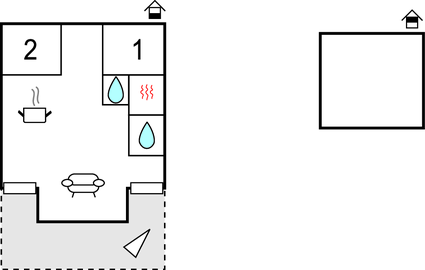 It is a house with two bedrooms and a small loft with four single beds. The terrace offers plenty of space next to the house is a barbecue hut with a wood grill. On the terrace is also a gas grill, which you can grill and something quick. On the beach there is a floating bridge, a rowing boat is included in the rent. an outboard motor can be rented by the homeowner. Unrestricted use is the toy for the garden. 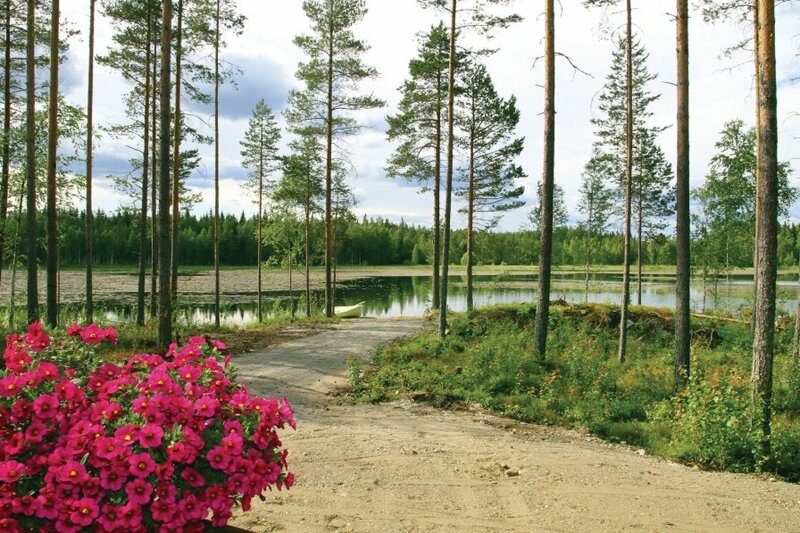 The house is well suited for fishing and enjoying a pure Finnish nature. This beautiful modern cottage is made from wood and was recently built in 2013. The agent has rated it as a five star property so it is one of their best cottages - tastefully furnished and fully equipped. It is also great value for money. This cottage has beautiful panoramic view over water and is located in Lake District, 35km from Heinola. It is set in a very convenient location, just 30 metres away from a lake. There's also a restaurant 21km away. The cottage has free wireless internet. You can also park on-site at no extra charge. The cottage is well equipped: it has a refrigerator, microwave, washing machine and dishwasher. The property has a sauna; it also has a barbecue and some garden furniture outside.